The “Club Leader of the Year” award at the 20th Romanian Football Gala was given to the Hungarian László Diószegi, president of Sepsi OSK football club from Sepsiszentgyörgy/Sfântu Gheorghe. At the Monday evening event – organized by the Sport Club of Journalists from Romania – the most successful actors of the Romanian football scene were rewarded based on their 2018 results. Besides the best players and coaches the best club leader was also awarded, and this title went to László Diószegi, who revitalized football in Sepsiszentgyörgy seven years ago. Diószegi is a successful entrepreneur, born in 1971 in Sepsiszentgyögy, in Székelyföld/Szeklerland – a predominantly Hungarian region in central Romania – with a deep passion for football since his childhood. 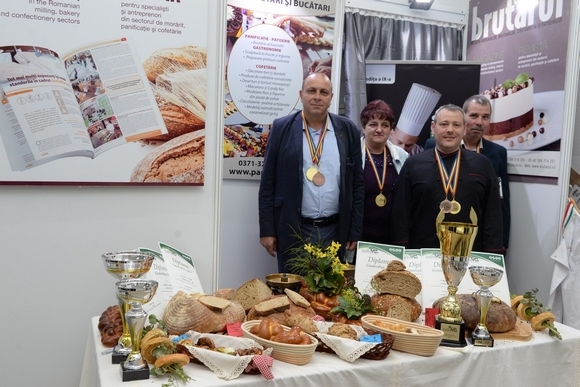 He leads one of the most successful bakery ventures of Romania which was recognized for example with the “Best Bread of Romania” award several times (2009, 2011, 2017). Further curiosity is that he holds the “World’s Largest Rustic Potato Bread” record as well since 2012 with a 97,5 kg bread. Diószegi considers his supporting towards local football as a hobby. He says every businessmen he knows has some hobby, such as hunting or gambling, but for him football is everything. As a kid – while others bought a new bicycle from their savings – he spent all his money on following his favorite Sepsiszentgyörgy football team to its away matches. After becoming successful in business, he wanted to revitalize football in his hometown a few years after the elimination of the previous club (Olt FC) in 2004. 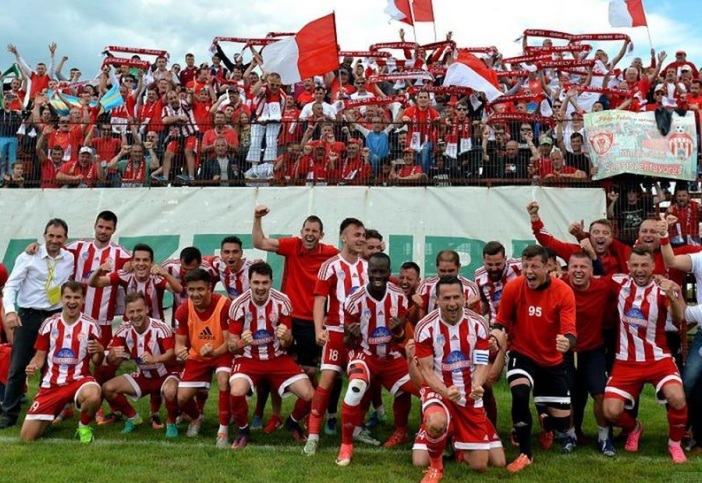 So together with Dávid Kertész on a Summer day of 2011 he decided to found a new club, and by respecting the town’s football traditions they chose red and white as its colors. When agreeing about the name of the new club they also payed attention to the past (OSK stands for Olt Sport Klub), while also wanting a reference to the club’s home town (Sepsiszentgyörgy) as well. This is how the name: Sepsi OSK was born. A few weeks later the freshly established team started in the lowest, 5. league which they won straight away in their first season. In the forthcoming years the team constantly improved, played at all levels and in only six years they accomplished what no Székely team had ever before (neither in the Romanian nor the Hungarian Championship, where they belonged between 1940-1944). In 2017 they advanced into the First League. This huge success came so quickly that the infrastructure could hardly keep up. Their stadium was not licensed for the First League at the time, so Sepsi OSK had to play its home matches in other towns for half a year, but still the most important aim of the 2017-2018 season – to remain in the top league – was achieved. Now, in their second season – after 18 rounds – Sepsi OSK is placed 5th in the 14-teams of First League.